It’s been two weeks since the ‘H. 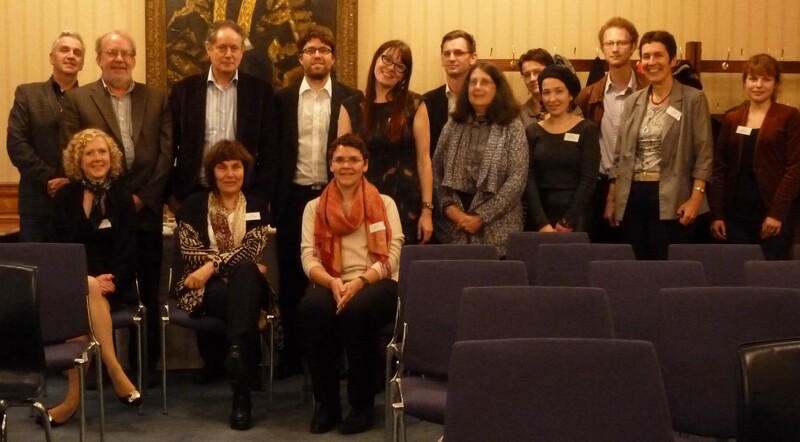 G. Adler / W. G. Sebald: Witnessing, Memory, Poetics’ symposium in London, and I’m still glowing. The day was generally felt by all participants to have been remarkably productive, intensive and rich. All the contributors brought their own intellectual agenda to the links between the writers, and, as one commented, we could feel the frontiers of knowledge moving forwards. What more could one hope to achieve at a symposium? So Lynn Wolff and I are tired but happy, as you can possibly see in the photograph of the conference participants below! Currently, we’re working on plans for a conference publication, and I hope we’ll be able to share more details in due course. One of the joys of sabbatical is that you get the chance to share the fruits of your research with the academic community at large. I’ve been lucky enough to receive invitations to speak in a number of institutions recently; here’s a list. 29 January 2013: ‘Sebald’s Bachelors: Queer Resistance and the Unconforming Life’, University of Warwick German Seminar Series. 13 December 2012: ‘German Intellectuals from Student Revolution to Reaction: Botho Strauß, Peter Handke, W. G. Sebald’, University of Manchester CIDRAL Public Intellectuals Seminar Series. 11-12 November 2012: ”Prague circles: the vicissitudes of H. G. Adler’s modernist poetics’, H. G. Adler: Life, Literature, Legacy, hosted by the Israel and Golda Koschitzky Center for Jewish Studies and the Department of English at York University in Toronto.